The next major milestone for Mass Arrests of the cabal has now arrived. Liens have now been filed against all twelve Federal Reserve banks. A Cease and Desist Order has also been filed — to prevent the world’s wealth from continuing to be stolen. If you have been following this and certain other websites, then you have already heard the eyewitness testimony suggesting that thousands of conspirators in finance, media, defense, military, corporations and government are about to be arrested. The mass resignations of CEOs, worldwide — now numbering well over 450 in the last few months alone — is a tangible sign that a major event is anticipated within the insider community. Let’s be clear, again, that this is NOT a coup, NOT martial law, and NOT a takeover of the government in any way. Our financial system, media complex, defense industry, corporate world and government has already been taken over. It is not being run for the people and by the people. It has been systematically manipulated by a secretive, occult Cabal. 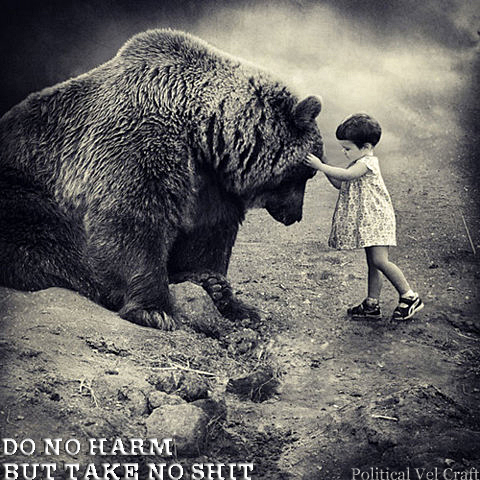 We cannot sit back and wait for their next attempt to generate mass chaos and destruction, and say “let’s just leave everything the way it is,” simply because this group has been so circumspect in revealing its true intentions. This system threatens the welfare of everyone on Earth. In their plan to secure global control, they have repeatedly attempted to create mass casualties — by a variety of different means — and significantly reduce population. Many, if not most of these efforts have been thwarted. Much of this is thanks to the will of the people; great heroes who take a stand. This includes countless hundreds of millions of people doing their best to spread the word — and inform others. More recently there appears to be Divine Intervention, for lack of a better term — which is utterly destroying the Cabal’s ability to do any further harm on a mass level. That does not, in any way, reduce or eliminate our need to act. For now, we focus on the practical, tangible, on-the-ground steps we must take to free our planet from Financial Tyranny — within this very opportune set of circumstances. The plan for mass arrests appears to have been in development since the 1960s, as my interview with a new insider named Drake revealed. Drake was asked by the “good guys” in the Pentagon to provide a public voice for a plan that, up until then, had almost entirely been disclosed by Benjamin Fulford, since 2007, and myself since November 2011 — when I was personally briefed on it. This plan requires the will of the people to succeed. Otherwise, our supporters within the military and the justice system do not have the legal precedent to perform such actions. After many years, the public outrage is now sufficiently high that the will of the people has become more than sufficient to take these steps. Elements within our civilian and military sectors alike have had enough — and are taking a stand. US marshals from the Department of Justice and peace officers will carry out the arrests, with the assistance of military personnel — in the event of any unforeseen disturbances. By assisting a legal civilian operation in this manner, the military personnel are following their Oath of Enlistment — to protect and defend the US Constitution against all enemies, foreign and domestic. Again, to reiterate, the mass arrests will generate a situation from which there is no turning back for the Cabal. Once the truth is exposed, there will be no further walls of secrecy for them to hide behind. On June 4, 1963, President Kennedy Signed, Executive Order 11110, this authority stripped the Rothschild Bank of its power to loan money to the United States Federal Government at interest. With the stroke of a pen, President Kennedy declared that the privately owned Rothschild Federal Reserve Bank would soon be out of business. Every genuine fact you’ve ever read on the Internet about this problem will quickly become common knowledge. The “learning curve” is steep, but this is what everyone will be talking about. The rules of logic are absolute in a case like this. Full disclosure of this group guarantees that no such actions will ever be tolerated again by the public. It is a full-stop Game Over for the cabal. That is why they are so terrified right now. There are plenty of headlines showing this — such as Muppetgate, the public divorce of JP Morgan and the Vatican, the mass resignations of over 450 CEOs, and the passing of ridiculous and tyrannical executive orders. This cannot and will not be a “cleaning out of middle management” only. The upper levels will be clearly exposed. These people’s lives will never be the same. No one will tolerate the continuation of their plans. Particularly since 9/11, an incredible amount of damning evidence has been quietly collected — all for use in this single moment of Truth. This evidence includes extensive video proof of how they talk, what they do and what they have planned — in countless, allegedly secure locations. Bohemian Grove is only one of many locations that have been thoroughly compromised by hidden surveillance. Yes, it will be shocking. Very shocking. It will also be undeniable. This evidence has been rigorously collected since 9/11, and distilled down to its most powerful core elements. There is so much evidence that any attempt to “debunk” it, or say it is the work of CG animation, et cetera, will completely fall apart. All international air travel and all domestic borders will be closed, to prevent the conspirators from fleeing. Those who have already gone into hiding, internationally, will be located and brought to justice. There will NOT be a mass power outage unless the negative groups try to do this. The lights will stay on and everyone should be OK during this process. There may be local disruptions of Internet service and international phone calls for the initial three-day period. This is by necessity, to avoid trillions of dollars flying out of the economy and collapsing the nation — as began occurring in the 2008 crash. Had this massive hemorrhage not been quickly stopped in 2008, the economy could have been destroyed beyond any hope of repair. Any outages of these critical services will be turned back on as soon as possible — in no more than three days’ time. For the first five days after the arrests occur, every television station will have wall-to-wall coverage of information that makes our finest civilian investigations pale by comparison — and leaves no margin of doubt. Scores of DVDs’ worth of documentaries — some narrated by instantly-recognizable public figures — will be airing, revealing the truth, with as much sensitivity as possible — while also not pulling any punches. I have been told that the most disturbing content will not be made available to minors. Anyone will be able to review it, but they will need to do so under supervision, such as via Skype. Enough information will be released to make people aware of the exact nature of this disturbing content, however. Once this information is released, there will be a mass grieving process that must occur, akin to the sudden death of a friend or loved one. A good buddy of mine died this week. I got the call on Wednesday. I have been in shock ever since. I have broken down many times. Today (Friday) is when most of this article was written. Four days before he died, he dropped off a package in my mailbox with two DVDs’ worth of information in it — information like we are discussing in this investigation. His family has requested that all details remain confidential, for their own privacy and protection. I will honor that request. I am aware that people will accuse me of lying about this. I do not care. I wish it was not true, but it is. Though it does not appear that foul play was involved in his death, it also cannot be completely ruled out. He died very close to where I live. This seems like it could not possibly have been a coincidence. At first I thought the police were going to need me to ID the body, due to its level of distress. Thankfully I was spared from having to see that. When someone you care about dies, that’s it. There’s no turning back. There is a body. You don’t get to talk to that person anymore. That body is not alive anymore. Your life has changed… forever. This event will have a similarly “defining” effect in creating a sudden grief process — worldwide — though very little, if any deaths should occur. Many great illusions — in which we, like children, wanted our “parents” to love, protect and support us — will come crashing down. In some ways it will be as if everyone is vomiting at once — and this may be literal in certain cases. It is a typical reaction when the body goes into shock. I have not thrown up, but I have body aches, difficulty sleeping and eating, and periodic waves of sorrow that overtake me. Some levels of shock have already started happening with the pending mass arrests — as our readers and listeners realize how absolutely serious this is, and that these arrests will be conducted regardless of whether we talk about it or not. The reason why the public is being notified is only this: to reduce the likelihood of mass panic, rioting and chaos in the initial confusion and fear that will invariably result. Some are expressing extreme fear, distrust and superstition in their comments. I understand that. And I respect you for that. Without 20 years of experience capturing, analyzing and implementing dream guidance, and seeing the remarkable accuracy of the results, I would not have had sufficient criteria to trust what I was hearing either. For eight years I processed a total of 500 clients for “dream readings.” That means there are 500 witnesses to the process I perfected and offered through this website, beginning in 1998 and ending in 2005. These witnesses could be subpoenaed and testify under oath of their experiences. Audiotape documentation of our sessions has been preserved in almost every case — and could be released if the client’s permission was obtained. Other than the name, email address and the day we would speak on the phone, I knew nothing about my clients before these dreams came in. Nonetheless, each client was given data that rigorously demonstrated full knowledge of their deepest issues. They were shown how to transform personal weaknesses into spiritual enlightenment, to become a more loving, forgiving and mature person. The accuracy level was so high, so consistent and so insightful that it was quite common for the client to burst into tears. It is a matter of public record that dreams have been posted on this website — which later proved to be extremely accurate. I do not consider myself special. We all have this ability. I merely listen to what I am getting and document it rigorously. In my David’s Blog entry entitled “Bouncing Back from Hack Attack,” I posted a series of powerful dreams that led me to conclude “the next planetary disaster at the level of the BP oil spill” was imminent. Three weeks later, we had the Fukushima disaster. In this follow-up article I clearly spelled out all the correlations with the dreams I had just posted. I have had hundreds of dreams, for many years now, preparing me to see a massive, unprecedented exposure and arrest of this Cabal on a worldwide level. Extensive amounts of data were published about this future scenario on this website — particularly in 1999 — as can be found in the Readings section of divinecosmos.com. Since my briefings on the plan for Mass Arrests, I have now gotten literally dozens of staggeringly intense dreams about it. The overall “data cluster” indicates this will indeed be of tremendous, unprecedented, positive benefit to humanity. All that being said, no one will ever fully be able to prove anything until it happens. Intuitive data is still intuitive. It is not admissible in a court of law. It is speculative. Therefore, I do understand that people’s grievances are legitimate. Information is being given, but no absolute proof can be shared. Some are inclined to distrust, and believe that any operation of this scope and magnitude must, by design, be an evil attempt to instill martial law. This is one side-effect of mass, worldwide post-traumatic stress disorder — PTSD — from everyone having to knowingly live in a lie. The lie has been that we live in a “basically good” world that is not being secretly run by psychopaths. However, there is now far too much evidence for even the most stubborn folks to avoid. Fear is the only reason why this hasn’t already become a mass, public understanding. However, that “fear of Truth” is already just about broken. The economic, political and social concerns we struggle with today are the result of a plan that was systematically put into practice as of 1776, with the founding of the Order of the Illuminati in Bavaria. This group networked, infiltrated, consolidated and enacted plans that had been in place for much longer periods of time. They created the hidden infrastructure, secrecy, membership, documentation and blueprints necessary to effectuate what they had hoped would be a global takeover — in the hopes of declaring a New World Order. If they could gain complete control of the money system, they could decide who lived and who died. Who ate and who starved. Who won and who lost. In addition, this New World Order had a key religious and spiritual component. Quite literally, it would be an attempt to convert everyone in the world, either willingly or by force, to a philosophy known as Luciferianism. It was believed that the Church would collapse, along with the general social order — by design — and in its place, people would accept Lucifer as the unsung hero in this grand cosmic drama. I have already extensively documented what happened, and when it happened, in the Financial Tyranny investigation. Both the Super Bowl half-time show and the Grammy Awards ceremony, this year, featured blatant Luciferian rituals. The title of the album of the year (2012) is : “21””. 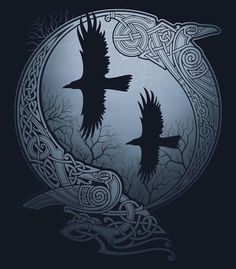 In esoterism, it is known that the number 21 means : (l’ordre est retrouvé) which is, in English: Back in Order or The Order has now returned. or : this is how the new world will be. Also remember: 21 Dec = 21-12. The Super Bowl halftime show added yet more data that needs to be put in there… did you see that swirling Illuminati Eye and everyone dancing around in Roman and Egyptian garb? I saw everybody in the room cheering and loving the performance. But, all the while, I was watching with my new eyes…I saw Madonna come out with her high priestess head dress, surrounded by Roman soldiers…I realized right away that it was a huge ritual going on right in front of everyone and they were clueless! My intuition says it means more than just ‘Madonna’.Ok…so I turn on Good Morning America today. They were going over the highlights of Super Bowl and they called Madonna the ‘High Priestess of Pop’. Hoover Dam The Next 9/11? You Decide! Such an outrageous, totally obvious ritual showcase of Super Bowl symbolism does strongly argue that they know they have run out of time. The truth is about to come out — one way or the other. Most of their members will be very glad to be free once this happens. As I have said throughout this entire investigation, fear is what stops people from seeing the obvious. This blatant, global display in the Super Bowl halftime show was a very aggressive, tactical move. This investigation — and the lawsuit behind it — is one key element that is now forcing this astonishing conspiracy out into the open — so we can finally heal as a planet. Additionally, Whitney Houston died under suspicious circumstances in the hotel where everyone was staying for the Grammys. I doubt the celebrities had any idea what was going on — and believe them to be innocent bystanders in this case. 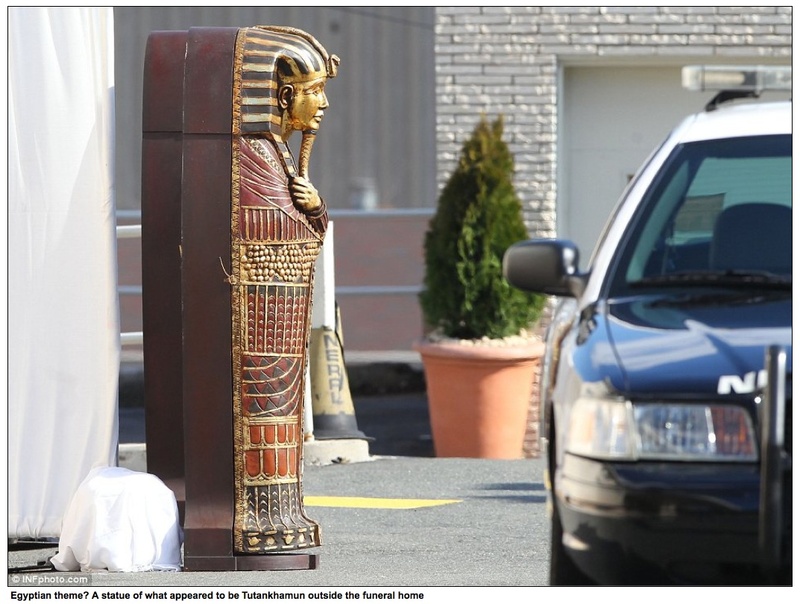 It is also a disturbing fact that the private reception for Whitney, before her funeral the next morning, was flanked by Egyptian sarcophagi on either side of the entrance. Where did they get these sarcophagi? How did they already have them, ready to go for the ceremony, when she had just died so soon before? In the video that clearly reveals there are two, not one of them, the sarcophagi appear at precisely the 33-second mark. 33 is a number of key ritual importance to the Cabal. You can watch it at the bottom of this Huffington Post article. If you think this is a coincidence, you haven’t done your homework. Death Of Brandon Lee, David Carradine, Michael Jackson, Princes Diane, 2Pac, & Alan Russo. Death Of Presidents Lincoln, Garfield, & Kennedy. Following Are Sequences From Above Video. These ‘Snapshots’ Depict The Modus Of Propaganda Orchestrated By The NWO Banking Cabal To Neutralize The Morality In Populations ~ Which Are Founded Upon Truth & Justice. Interesting How This Topic Is Made World News TODAY By Rothschild 100% Owned Reuters News. President George Washington & America’s 9 Harbingers! In order to stop this game and bring about true peace, any plan for mass arrests must involve a full exposure of the gold that was confiscated worldwide — by the bankers themselves. The world’s biggest banks are unified under the umbrella of the Federal Reserve and its international component, the Bank for International Settlements or BIS. Together, this conglomerate is now earning and controlling a staggering 80 percent of all the money there is to be made in the world. The scientific proof of this is featured in Financial Tyranny. Adam Smith’s treatise was used — in the tragic aftermath of the completely manufactured, pre-planned World War I — to convince world leaders to hand over their gold. Much of the Asian gold was being held in complete secrecy, by ancient family dynasties, for security purposes — but the insiders knew all about it. The total amount of gold that was confiscated and put on “deposit” with the BIS is 2,420,937.4 metric tons. That’s two million, 420 thousand, 937.4 tons of gold. Two different economies were set up: the public economy, where we currently have about 62 trillion dollars in world GDP, and what I call the occult economy. The occult economy has dollar values ranging in the thousands of quadrillions. Cabal insiders are bribed and enticed with private bank accounts — with sums that may eventually rise into in the trillions of dollars. My friend who just died was one of my associates who came into direct contact with people who were working this system. He was never directly invited in, and distrusted the whole thing as much as I did. Nonetheless, the fact that he knew me, and could drop my name and contact info, led to direct offers for me to be brought into this system. In order to use any of this money, however, it must be withdrawn from accounts held in the occult economy — and converted into real money in the public economy. Therein lies the problem. The banks have been strictly controlling this process all along. Numbers suddenly appear in bank accounts that were not there before, and shouldn’t be there. There is no honest, open, above-board world auditing system, so these numbers can appear without people really noticing it. No one is ever really allowed to withdraw that much, relatively speaking. If you try to grab too much cash, you get refused — plain and simple. As of last fall, these accounts have been almost entirely closed — by the international “good guys” freeing us from Financial Tyranny. Only a very small number of key “traders” still hold any accounts in the occult economy. The whole thing was never more than a series of enormous numbers in a massive glut of fake bank accounts — designed to pump up their members’ egos to super-human levels. Many disappointed “traders” have recently figured out that it was all a scam. Now they’re “broke.” They put real money in, to get these accounts started, and now they’ve got absolutely nothing to show for it. Groups like the SEC have completely shut these accounts down. No one can whine about losing their “money” in public, because it was all illegal to begin with. If they speak out, they will be tortured and killed — as will everyone they love and care about. If my friend’s death was a “message,” I have decided not to listen. The stakes are too high at this point. The shutdown of these illicit accounts is another reason why so many CEOs have resigned since this happened. Where do you think most of their “big” money was being held? Suddenly, the wimpy public-economy bank accounts are all they’ve got. Many of them are now running out of the burning building, screaming — and grabbing whatever cash they can carry on the way out. Five different sources offered to bring me into this occult economy — and set me up with outrageously high bank accounts. My deceased friend had overheard someone saying my name while he was hobnobbing at a high-echelon party of movers and shakers in Los Angeles. The whole way he got invited there was strange enough to begin with. Unfortunately I cannot call him and ask him to remind me of the details at this point. He called me the next day and didn’t know what to make of it, but passed along the information. The resulting contact ultimately led to two out of five of the proposals I received. One of the proposals had been four years before this happened. Strangely, though, the other two proposals came in during this exact same timeframe — all within about a month — from seemingly unrelated sources. In each case, as long as I could raise a few tens of thousands of dollars, I would have quickly been able to build an account worth millions and millions — growing by 20 to 30 percent every month. I took great risks and completely outlined one of the ways I could have gotten into this system in the Financial Tyrannyinvestigation — with supporting documentation and links. I was told that any mention of this system, or the jargon that goes along with it, could have led to the dreaded “knock on the door” — but so far I have been fine. I cannot change the fact that my friend “Bob” is dead. Nonetheless, as long as I shall live, I will continue fighting for our freedom. Had I decided to get involved in this occult financial system, Federal Reserve-owned banks would have extended lines of credit to me — using the initial monies I raised as collateral. I would then use one line of credit to open up another line of credit — and soon, after a great deal of paperwork, I would control an account in the occult economy that was worth millions of dollars. Then, with the fantastic gains my account would earn, I could have quickly paid back the loans — and closed out the lines of credit. I refused these offers. I would not tolerate anyone attempting to buy my allegiance and using money to control me. If you have an occult bank balance of, say, 300 billion, and you wish to free up a few million for something, that money has to be created as a ledger entry by one of the major banks. This is done by what are called “Black Screens” and “Blue Screens.” There may be other color screens as well, such as red. Through this process, trillions of dollars of illicit, occult funds have been laundered into the public economy. This is why the numbers do not add up — and the books do not balance — in the public economy. This is why Rumsfeld announced 2.3 trillion dollars was missing from the Pentagon’s budget — just one day before 9/11. This is why the Federal Reserve had to create 26 trillion dollars’ worth of new money, in the public economy, after the 2008 collapse. This is ridiculous. It is a bubble. It was meant to be that way. The plan, all along, was twofold. First of all, it would buy the allegiance of Cabal members and make them feel like they were the Gods of earth. Literally, each one of them would be vastly more “loaded” than the wealthiest people in the public economy. Secondly, any good banker could do the numbers and figure out what this really is. A Ponzi scheme. That was always part of the plan. Despite the impressive power of having nearly two and a half million metric tons of gold “on deposit,” supposedly as collateral, in reality the occult economy — and its fantastic bank balances — was, is and always will be the greatest Ponzi scheme on earth. It was built to be that way. It was designed, from its inception, to destroy the public economy beyond repair. Then, in the aftermath, a global Luciferian dictatorship would be installed. These people are absolutely serious. This plan is very real. I didn’t learn about the confiscated gold until fairly recently — initially by interviewing Benjamin Fulford last November. The plan for mass arrests, discussed by Drake and others, does involve the restoration of the United States Constitution to its full lawful status. It also requires that the confiscated gold, and the occult economy built off of it, be fully revealed to the world. Fulford has been discussing this aspect of the plan, to varying degrees, for years now. The insider name for the confiscated gold is the Global Collateral Accounts. 85 percent of this gold belonged to Asian countries. The Federal Reserve stole this gold by vastly lying to its owners. The owners were told that the public could not know about the gold. It was much too dangerous. It could collapse the world’s economies and lead to unprecedented financial terrorism. The gold would all be hidden away, and secretly used as collateral for the global economy. All the insiders would know it was there, but everyone else would be kept in the dark. The numbers would not add up in the public economy. The amount of money being printed would not be appropriately backed by solid assets. Secretly, the Collateral Accounts would have more than enough equity to back up whatever was printed. The Asians and all other countries were told that this would usher in a new era of peace and prosperity. At least 60 percent of all the money created from the Collateral Accounts would go into humanitarian relief programs. These programs would eliminate poverty and give everyone in the world a healthy lifestyle — running water, sanitation, good food and a decent place to live, at the very least. Only a very small number of countries were aware of the true nature of the plan. Once they secured control of the financial system, through the BIS, they used lethal force to stop anyone from speaking out. Those who held the original gold, such as the Asian countries, needed to have something offered to them in exchange for what they handed over. As a result, they have been given a continuous supply of Federal Reserve bonds — issued by any one of twelve Federal Reserve banks in the US — as collateral. As the price of gold goes up, more bonds are issued — so they always have an equivalent dollar value, in bonds, to the gold they originally put on “deposit” with the Federal Reserve / BIS. Technically, these bonds serve as legal tender. They are United States Federal Reserve Notes, as good as cash. However, there are thousands of boxes of these bonds in existence — each of which can contain billions or even trillions of dollars’ worth of bonds. Obviously, if these bonds were cashed, it would destroy the world’s economy. That was always the plan. Chaos was intended all along. The bonds, boxes and chests were deliberately made with spelling and grammatical errors in them, so that if anyone did try to cash these bonds, they could be apprehended for counterfeiting and forgery. Nonetheless, there is an abundance of documentation that these bonds are very real. Extensive photographic proof is provided in my main investigative work on this subject, Financial Tyranny. Furthermore, the gold is very real. It’s sitting there. It can all be exposed once the threat of lethal force is eliminated. If this were to ever actually happen, the whole game would collapse. This much gold is not supposed to exist, anywhere — but it does. This was the greatest bank-robbery in human history. It has still not been exposed on a mass public level. I have worked tirelessly to break this story and give it full documentation. There are nearly 100 different “depositories” where vast amounts of gold are stored. Most of them are in Southeast Asia. Indonesia has a large number of them, as does the Philippines. The gold was not moved very far from where it was originally confiscated. Every bar of gold in every facility is rigorously cataloged, documented and “deposited” within the Global Collateral Accounts. The Federal Reserve’s charter for these accounts expired in 1998. And now, at this point, I will hand it over to Neil Keenan — who ended up being granted signatory control of the Collateral Accounts by their original heirs. KEENAN: Strange things are happening in Indonesia nowadays. The once well-protected collateral account assets, which still are well protected, are now under attack. As we all know, the New Dollar is supposed to be backed by Gold — and he who has the Gold will once again control the system. This has caused fierce competition. The very same groups that have messed up the system, all the while calling themselves the New World Order, are making a push for the Global Assets — which mostly belong to Asiatic countries, and has nothing to do with them. We have most recently watched Rothschild and Dupont fly to Indonesia to try and illegally move the assets — to no avail. Now David Cameron, the Prime Minister of England, has his eyes set on the Gold. LONDON (MarketWatch) — British Prime Minister David Cameron on Wednesday continued his four-day tour of Asia, bringing his trade mission to the capital city of Jakarta the same day as an 8.7-magnitude earthquake rattled the broader region. A tsunami warning was in effect for countries across the Indian Ocean after the shaker slammed the waters off Indonesia’s Aceh province, which had already been devastated by a 9.1-magnitude quake and tsunami back in 2004. According to media reports, the quake was felt as far afield as Bangkok, Kuala Lumpur and Singapore. David Cameron pledged British support to Indonesia as he arrived in the south-east Asian country on Wednesday just as it was struck by an 8.6 magnitude earthquake. The prime minister said the UK “stood ready” to help in any way necessary at a press conference after he met Susilo Bambang Yudhoyono, Indonesia’s president. “We will stand with you and your government and your people at this time of worry,” he said. The visit to south-east Asia’s largest country is part of Mr Cameron’s Asian tour to promote trade ties with Britain. The leaders set a target to at least double bilateral trade between the two countries within three years, a crucial part of the UK’s ambition to boost its relatively weak performance in emerging markets. “I am here with two objectives: to achieve a step change in trade and investment between Britain and Indonesia and to build a partnership with Indonesia,” he said. KEENAN: Swiss authorities state that in a roundabout way, the Indonesian Central Bank met with the English, discussing the Collateral Accounts within the past couple of days as well. It seems to me that the English are making a push to steal whatever they have not stolen during the past 300 years. Fortunately, the bonds are now under agreement to myself, Neil Keenan, and my associate Keith Scott. We have stood strong in support of the Indonesian people throughout the attacks and pressure applied to them. We intend to establish a trust that will allow these funds to be utilized for the healing and transformation of this planet. The releasing of formerly-classified technologies is a very key element of this plan. No one needs to go hungry. No one needs to suffer. Particularly once these technologies are declassified, the world can become something much different — much better — than what we have all had to tolerate. The “good guys”, representing a majority of the Pentagon, are behind everything we do — and the cavalry is not far behind us. KEENAN: On the other hand, the Indonesian Government has stood tall in defense of their honor — and has to date refused any and all offers relating to corruption. As Mr. Rothschild and Mr. Dupont did, Cameron also left Indonesia empty-handed. Breaking => When Barack Obama Was Barry Soetoro From Indonesia! Furthering this note, a powerful Singaporean/Malaysian businessman made his attempt at stealing the accounts within the past week. He had his hacks fly in and offer bribes to Edy Seno, to sever the relationship between Keenan/Scott and Seno. Little did they know, after spending more than 2.5 Million Dollars, that they had the wrong person all along. Now that is a strange twist of events. See the Cease and Desist notice we have filed below for more details. WILCOCK: This past Monday, April 9th, 2012, Fulford posted an astonishing 180-degree turn on his paid blog. The “Dragon Family” is the Asian group that once held as much as 85 percent of all the gold and treasure in the world. This money was confiscated by the Federal Reserve banking families and put “on deposit,” secretly, as I have been re-iterating here. As of this past Monday, though Fulford had supported the Dragon Family all along as one of his top allies, now he was suddenly saying they were actually working for the bad guys. It appears that both the so-called “dragon family,” and the “harmonious world banking system” are just the same criminal godfathers that Ben Bernanke and Timothy Geithner have always worked for. Indeed both Eijiro Katsu, the top bureaucrat at the Japanese Ministry of Finance, and Bank of Japan Governor Masaaki Shirakawa have confirmed the money is sitting there inside the Federal Reserve Board computers. The problem is that the same crooks who have been spreading biological mass murder weapons and carrying out countless other unfathomably evil acts are now saying they will be doing good. The fact of the matter is that the owners of the Fed are a bunch of gangsters who murdered, bribed and lied their way to the top of the planetary power system, only to preside over the largest mass extinction event (including both humans and nature) since the dinosaurs were wiped out. As we continue into the paid part of Ben’s blog, more information was revealed. We used considerable political capital to get Bank of Japan Governor Masaaki Shirakawa and top MOF honcho Eijiro Katsu to confirm the money was indeed sitting inside the Fed computers. The problem is that the representatives from the “dragon family royal society” claimed to represent Asian royal families. They said a man by the name of Hiroshi Nakano was the real power behind the Japanese throne, and that he could confirm this. We asked that they get a formal letter from one of the public members of the royal family, such as the Emperor or the Crown Prince, to prove they were speaking the truth. They apparently could not, because their representatives dropped out of sight…. These people were so arrogant they thought they could buy off Japan, their largest creditor, with $10 trillion — a mere 1/60th of the money they were planning to spend. The “dragon family royal society” that has been putting its name out there refers mainly to the Merovingian European Royal bloodlines — not Asian royal families. Neil and I were both shocked by this sudden reversal, as were many others. We both sent emails off to Fulford, asking him what the heck had happened! The next day, Ben posted a complete retraction on his free, public blog, as follows. It appears that he was “shaking the bush to see what kind of snakes come out,” as Drake might say. Since my story came out, I have been given new information about the “Dragon family.” There is a geniune Dragon family that is based on Asian royal bloodlines. They have been setting up a benevolent new financial system. What has happened is that the Feds, Bernanke, Geithner and their Bush, Rockefeller, Rothschild bosses last week approached Japan Ministry of Finance boss Eijiro Katsu and BOJ Governor Masaaki Shirakawa, andpretended they were the Dragon family. Somebody also sent me a long article about the Merovingian kings, calling them the Dragon family too. It is basically the same old crooks, doing their best to block the new financial system by muddying up the waters. We are on their case now, and have identified specific individuals who were working for the Feds in Japan — who are now being asked to back off. We are simply stirring things up to see who is who. The MOF (Ministry of Finance) and BOJ (Bank of Japan) have already said they will not work with the Feds on this one. Nonetheless, I refuse to offer any specific dates for when this will all be resolved. Time is on our side, not theirs. There will be violent revolution in the US and Europe before too long if the Feds do not step aside gracefully. And now, without further ado, it’s time to get down to business. This constitutes the first public posting of the new Cease and Desist Order on behalf of Neil Keenan, signatory for the “real” Dragon Family and its assets, and Keith Scott. I would have posted the new Cease and Desist order on Wednesday, but was distracted by the news of my friend’s sudden death. You will have to wade through some legalese in the order itself. After this, we will get to the even bigger news. As of this posting, liens have now been placed against all twelve Federal Reserve banks. We already know they do not have the assets to meet these obligations. This is a critical step leading to the mass arrests and the defeating of Financial Tyranny. The notice of the liens will follow the Cease and Desist Order. If you start getting lost in the jargon, please hang in there and make sure you skim through the whole thing. Before we read the Cease and Desist order itself, here is a list of questions I had for Neil after I read it — and the useful answers he supplied me with. DW: Let’s start with the basics here. Why did you file this Cease and Desist order against the Chairman of UBS, Kaspar Villiger? NK: Actually, David, it was not so much Villiger as it was the other participants. They thought they could get cute and steal what we had already signed for — because of our delays. Little did they know that they went to the wrong person looking for help. Also, you must understand we have an enormous amount of evidence that UBS have been playing with these assets for years — and they need to realize they will be held accountable. DW: Are you saying they tried to steal the accounts? NK: Well, they tried, but bet on the wrong horse. You see, they have been betting on this horse for a while — but never properly locked him in. At one time, this person controlled the Family Heritance Guarantees, but never was he aligned with the Accounts themselves. Nevertheless, we also are in agreement with their horse, seeing their mandate expired in 1998. We did not want to deal with the past, but the future — with hopes of using our leverage to acquire some of the debt owed him. DW: Am I correct in hearing you say that this person owns nothing at this time, but you are trying to help him? NK: Firstly, the Family Heritance Guarantee belongs to the People of Indonesia. President Soekarno left that as his gift to the Nation. Seno failed to collect it. We all are trying to help him, but he has quite a few people with hands out, just looking to grab from him. What they are finding now is that they made mistakes: big mistakes. We are simply going to apply pressure to the Banks, seeing we are the Settlors of the accounts. We are the only ones that can help this person — and Indonesia. DW: There’s lots of news stories of people with these bonds getting arrested recently — and that’s probably only the ones that are making it into the media. Are all these various players trying to steal from each other now that it’s close to the end? NK: The Indonesians are pretty good people, but you always have a few that think they are warranted to have everything in everyone else’s possession. You have the same here, but overall they are hard-working and warm people. Our Associate Nelu in Indonesia is a good example. He will dig a hole to the other side of the earth if he thinks it will help his country. At one time we had such loyalty in our country — and still do — but now we cannot make such a claim too loudly. DW: When do you think this process will end? NK: When we return, I will give you that answer. Of course, we can never say when it will end, but we can tell you when sneaker sales will go up. Invest in sneakers!!! Hahahah. They will be running — and the Dog Catcher will be snatching them up in his net. Did I say Dog? Hahahah. DW: Now now. Be good. I hear you saying we have to wait until you return. That’s going to frustrate some people, but these things do take time. Is there anything else you need to let us know before we say goodbye for now? NK: Of course. Look at those names, and what you see are two banks. One bank deals with the Collateral Accounts, and is supposed to be watching over them with the Attorney General of Switzerland. And yet, they have been in all sorts of corruption — from the very day they allowed the American Banks to buy into them. 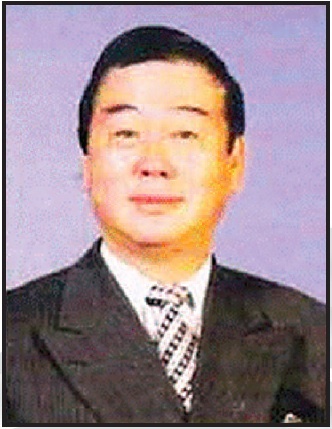 Now you look at Mr. Ling, and what you see is a Director of one of Asia’s most prominent banks. What do you get when one has his agents run off to see Edy Seno Soekanto? A Conspiracy!!! We are very lucky we have eyes everywhere. DW: Everyone is very lucky. I understand the implications of what you are doing for humanity here and I support you. Any final statement, Neil? NK: Invest in Sneakers — and I did not say Snickers. Excuse me, David, I must leave. I have to take my seat; it is nearly SHOWTIME. DW: Excellent. Let’s read your Cease and Desist letter now. It has been brought to our attention by Swiss Authorities that Chairman Kaspar Villiger of UBS has made attempts to circumvent the lawfully appointed managers and Settlors of the Soekarno Trust — namely Neil F. Keenan and Keith F. Scott. According to the oversight Guardians of the accounts, on this 8th day of April, 2012, this fraudulent attempt to unlawfully demand payments from the Collateral Accounts was engaged by persons associated with Alex Ling Lee Soon from Singapore. This agent of Alex Ling Lee Soon, namely Jack Singh, at this very moment of writing, is meeting with Dr. Seno Edy Soekanto — in an attempt to gain control over the Family Heritance Guarantee. Seno Edy Soekanto failed to collect this Guarantee for over forty years, and the claim was lost on the closing of Seno Edy Soekanto’s Authority in 1998. Alex Ling Lee Soon, and/or his company, have paid some $2.5 million dollars to Seno Edy Soekanto for books of no worth or value in exercising management control over the Collateral Accounts. It is furthermore understood that they are trying to wrest the Collateral Accounts, which are under the Group K Ltd. Umbrella, by seducing Seno Edy Soekanto into signing instruments intended to create fraudulent claims. These claims would then be used as a public excuse to allow them illegal access to the International Collateral Combined Accounts. This plan is being conducted through mutual arrangement with UBS-AG, even though UBS-AG and Alex Ling both know that such an arrangement is criminally fraudulent. This is due to the fact that the International Collateral Combined Accounts are under the control of the Soekarno Trust — and the current Settlors of said Trust are Neil F. Keenan and Keith F. Scott. Seno Edy Soekanto at one time was the holder of the Family Heritance Guarantee — the fund he was supposed to deliver to the people of Indonesia — but he failed in his responsibilities, and this position ended in 1998. After this time, Seno Edy Soekanto no longer had control of the Family Heritance Guarantee. He was never at any time the controller of the International Collateral Combined Accounts, as he was never at any time Mandated with any such authority. His signing an agreement with us on the 6th day of November 2011 was not to take control over the Family Heritance Guarantee. It was, in fact, a request for us to assist him in recovering anything and everything that could be salvaged from his failure to obtain that Heritance. This agreement is valid until 2020. No matter what arrangements Seno Edy Soekanto now makes regarding said Heritance, it is not relevant due to the expiration of his authority, which was dated 1998. It is furthermore noted that Kaspar Villiger, the Chairman of UBS, has previously been placed on notice, along with his bank, to Cease and Desist. Such order was issued from the control authority. The BIS has furthermore been placed on similar standing by the same control authority as well. On April 8, 2012, an Employee of Alex Ling Lee Soon entered Indonesia in an attempt to commit fraud on behalf of Mr. Ling and/or his company. This not only targeted the funds of the Family Heritance Guarantee, but was also intended to create an opportunity to illegally cheat and steal from the collateral accounts — which have nothing whatsoever to do with Seno Edy Soekanto or Alex Ling Lee Soon. WHEREBY; we, the undersigned, are ordering Alex Ling Lee Soon, Jack Singh, Mr. Chee, Kaspar Villiger, and the Union Bank of Switzerland to stand down — and to CEASE AND DESIST on this, the 11th day of April, 2012, or face litigation. Be aware that on the week of the 13th of April, you will be exposed internationally for your wrongdoings. SIGNED by the Settlors of the Soekarno Trust – otherwise publicly known as the International Collateral Combined Accounts. And now for the grand finale. Neil and I had an extensive conference call with Drake and his associates, including a remarkable new insider I had never met before, as of this past weekend. Drake was told that a certain sequence of events needed to occur before the mass arrests could happen. The filing of this lien is one of those events. The first part, again, has some legalese to establish the point. Afterwards, you will see the good stuff. Everything from this point down is part of the Affidavit of Obligation. I will signal my return by writing WILCOCK. All men and women know that the foundation of law and commerce exists in the telling of the truth, the whole truth, and nothing but the truth. Truth, as a valid statement of reality, is sovereign in commerce. An unrebutted affidavit stands as truth in commerce. An unrebutted affidavit is acted upon as the judgment in commerce. Guaranteed—All men shall have a remedy by the due course of law. If a remedy does not exist, or if the existing remedy has been subverted, then one may create a remedy for themselves — and endow it with credibility by expressing it in their affidavit. All corporate government is based upon Commercial Affidavits, Commercial Contracts, Commercial Liens and Commercial Distresses. Hence, governments cannot exercise the power to expunge commercial processes. The Legitimate Political Power of a corporate entity is absolutely dependent upon its possession of Commercial Bonds against Public Hazard — because no Bond means no responsibility, means no power of Official signature, means no real corporate political power, and means no privilege to operate statutes as the corporate vehicle. The Corporate Legal Power is secondary to Commercial Guarantors. Case law is not a responsible substitute for a Bond. Municipal corporations, which include cities, counties, states and national governments, have no commercial reality without bonding of the entity, its vehicle (statutes), and its effects (the execution of its rulings). In commerce, it is a felony for the Officer of a Political/Public Office to not receive and report a Claim to its Bonding Company, and it is a felony for the agent of a Bonding Company to not pay the Claim. If a Bonding Company does not get a malfeasant public official prosecuted for criminal malpractice within sixty (60) days, then it must pay the full face value of a defaulted Lien process (at 90 days). Except for a Jury, it is also a fatal offense for any person, even a Judge, to impair or to expunge, without a Counter-Affidavit, any Affidavit or any commercial process based upon an Affidavit. Judicial non-jury commercial judgments and orders originate from a limited liability entity called a municipal corporation — hence must be reinforced by a Commercial Affidavit and a Commercial Liability Bond. A foreclosure by a summary judgment (non-jury) without a commercial bond is a violation of commercial law. Governments cannot make unbonded rulings or statutes which control commerce, free enterprise citizens, or sole proprietorships without suspending commerce by a general declaration of martial law. It is tax fraud to use Courts to settle a dispute/controversy which could be settled peacefully outside of, or without the Court. An official (officer of the court, policeman, etc.) must demonstrate that he/she is individually bonded in order to use a summary process. An official who impairs, debauches, voids or abridges an obligation of contract or the effect of a commercial lien without proper cause, becomes a lien debtor and his/her property becomes forfeited as the pledge to secure the lien. Pound breach (breach of impoundment) and rescue is a felony. It is against the law for a Judge to summarily remove, dismiss, dissolve or diminish a Commercial Lien. Only the Lien Claimant or a Jury can dissolve a commercial lien. Notice to agent is notice to principal; notice to principal is notice to agent. All officials are required by federal, state, and municipal law to provide the name, address and telephone number of their public hazard and malpractice bonding company, and the policy number of the bond — and, if required, a copy of the policy describing the bonding coverage of their specific job performance. Failure to provide this information constitutes corporate and limited liability insurance fraud (15 USC), and is prim-a-facie evidence and grounds to impose a lien upon the official, personally, to secure their public oath and service of office. 2. The lease payments on this gold are payable at the rate of 4% per annum. The total owed, starting in 1961 through 2012, is 4,638,791,996 kilograms of pure gold. 3. Proof of the Federal Reserve Obligation is in the form of Federal Reserve Bonds, series of 1928 and series of 1934. 4. Proof of the interest obligation is further demonstrated by the issue of international currencies that have been issued to the Holders of the Gold Accounts, but against the Federal Reserve Bonds. 5. The gold was acquired through a time when gold coin and gold bullion could not be privately owned, and had to be surrendered to the State. 6. The States combined the bullion into a single, central deposit, whereby all countries would have equitable access. 7. The gold is actually owned by Governments through their Ministry of Finance. 8. In 1948, under UN Resolution MISA 81704, Operation Heavy Freedom, President Soekarno was appointed as M1, (Monetary Controller), and the entire centralized system was put under his disposal as Trustee.9. The gold was deposited into the system by a group of Trustees appointed by Soekarno. These Trustees formed an association of Trustees now known as the Amanah, otherwise known as the Mandates. 10. The Mandates have assigned their authority over the accounts to Neil F. Keenan and Keith F. Scott. 11. The owners of the gold and other assets leased to the Federal Reserve system between 1928 and 1968, at a 4% per annum rental fee, have never received substantive payment since 1928 until today. They have been constantly tricked and deceived. 13. The Federal Reserve System is a privately owned banking system. All debts of that private banking system, beyond the value held in gold, is the obligation of the Federal Reserve System only — and is not a debt obligation of the people of the United States of America. 14. Owners, Shareholders, Directors/Executive Officers and Bonding Companies of the Federal Reserve System are deemed lien debtors — collectively and severally. 1. The amount of gold in the system is 2,420,937,400 kilograms. 8. In 1948, under UN Resolution MISA 81704, Operation Heavy Freedom, President Soekarno was appointed as M1, (Monetary Controller), and the entire centralized system was put under his disposal as Trustee. 9. The gold was deposited into the system by a group of Trustees appointed by Soekarno. These Trustees formed an association of Trustees now known as the Amanah, otherwise known as the Mandates. Demand is now made for Lien Debtors, jointly and severally, to deliver over to Lien Claimants 4,638,791,996 kilograms of pure gold. Any and all accounts, assets, bonds, insurances, securities, profits, proceeds, fixtures and the like, owned/managed by the Federal Reserve Banks at any location under control of Federal Reserve Banks. Lien Debtors are granted ten days (10) upon receipt of this Affidavit of Obligation to respond/rebut, absent which this matter is stare decisis and res judicata — and Lien Debtors have created an estoppel in pais. Any and all rebuttal must rise to the level of swearing of Lien Claimants to be held valid [no oath under “pains and penalties” is acceptable]. I, Neil Francis Keenan, certify on my own full commercial liability that I have read the above affidavit — and do know the contents to be true, correct, complete and not misleading, the truth, the whole truth and nothing but the truth, and do believe that the above described acts have been committed contrary to law. [see 18 USC 4 misprision of felony]. I, Keith Francis Scott, certify on my own full commercial liability that I have read the above affidavit — and do know the contents to be true, correct, complete, and not misleading, the truth, the whole truth, and nothing but the truth, and do believe that the above described acts have been committed contrary to law. [see 18 USC 4 misprision of felony]. Neil Keenan and Keith Scott wanted this website, Divine Cosmos, to be the first to debut these Orders — due to how hard I have worked, and how much I have sacrificed, to support this worthy cause. If my friend’s death had anything to do with what I’m working on, I deeply apologize — both to him and to his family. This does not cancel my resolve. If anything, it strengthens it. The freedom and safety of our planet is more important than my personal concerns or issues. This is something I am doing for the good of everyone. I will not stand down. I will not be intimidated. We will not stand down. We will not be intimidated. I am only giving a voice to the real heroes — the brave men and women who will conduct these mass arrests, and free our planet from Financial Tyranny. Let’s give them full credit where credit is due. We are all banding together and facing our darkest fears to create a future we can be proud of — for ourselves, our children, our children’s children, and so on. I do believe I will be fine. No one has hurt me directly. I want to make it absolutely clear that if anyone else I care about is harmed, there will be direct repercussions. You are ordered to Cease and Desist. Now. Hackers invaded Disclose.tv and posted something that appeared, at first blush, to be a government notice. It was a hoax. The agencies and provisions named in the notice do not exist. This may have been a deliberate move by insiders to provoke more fear, while also having it then appear to be the work of simple hoaxers. In my grief I felt overwhelmed by the idea that sites were starting to be attacked and shut down. I should have done more fact checking on this but in my emotional state I screwed up. I apologize. We have reached a critical moment where historic events are happening, and will happen. This is actually a very exciting time. Let’s band together and all do our parts to insure that peace will come to this planet. Please help spread the word and insure that the truth cannot be smothered. ← Obama’s Anarchy: Defies The Constitution, Congress & Destroys The Middle Class: Dictates People Do Not Have To Follow Work Requirements To Receive Free Welfare From The Middle Class!